Food lanes all across India are filled with a lot of hustle-bustle during the month of Ramadan. Iftar is savoured by the diverse cultures around the world. The hissing of the meat made from the barbeque, the crowd shouting out for their kebabs and the delectable sweets take you on a food journey that cannot be missed. We devoured a motley of delicacies from all across India and compiled the best Ramadan eateries for you. Every time we thought we were full, the appetising aroma lingering in these lanes made us hungry. 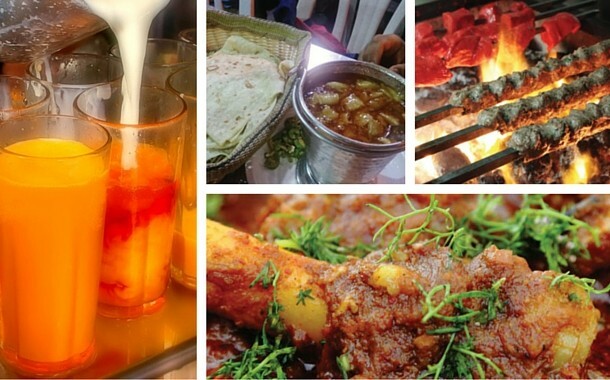 Here is a list of the best of Dawat-e-Iftar around India. Mumbai is a kaleidoscope of cuisines. The city laudably celebrates every festival with enthusiasm and fun. Crunched between the Bhendi Bazar and Khetwadi, the Mohammed Ali Road is jostling with crowd all over the month of Ramadan. Every year, thousands of locals dive in at the Mohammed Ali Road for a meaty delight. You will also see vegetarians feasting on the absolutely delicious sweets made from milk, cream and mawa. For vegetarians, Mohammed Ali Road offers an array of sweet treats. Also, don’t forget to devour the mouth-watering phirni at Suleman Usman Mithaiwala. 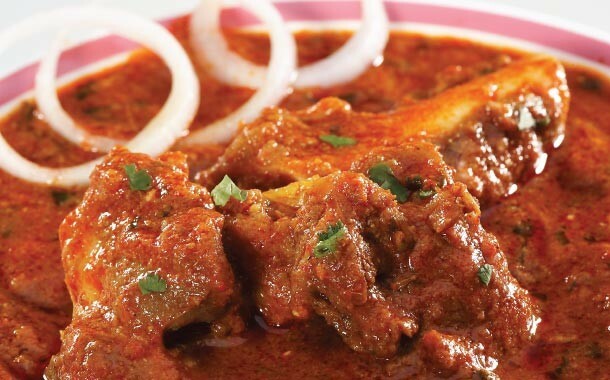 Bite in to the delicious nalli nihari of the Surati Barah Handi along with a tandoori roti. Do try the famous Sanju Baba Chicken at the Noor Mohammadi Hotel which has a unique and succulent taste derived from the secret recipe given by the Bollywood star, Sanjay Dutt. Indulge your taste buds in the piquant taste of authentic Mumbai biryani at the Shalimar Restaurant. A must-visit is the 122-year-old Taj Ice Cream run by the ‘Icecreamwala’ family in Mumbai. The big, fruity chunks make the ice cream a tempting and an inviting affair. The Fakhri Sweets which otherwise sells the best malai khaja, has a kiosk selling only malpuas during the holy month of Ramadan. Although the Mohammed Ali Road and Bohri Mohalla are cynosure of all the eyes during Ramadan, there are other places which serve equally amazing delicacies. Kurla’s LBS Marg and the area around Mahim’s Makhdoom Ali Mahimi (popularly known as Mahim Dargah) also serve kebabs and mithais that are utterly toothsome. Tawwakkal Sweets at Mahim is a local hit. It also has a branch at Bhendi Bazaar which is equally famous. Here is a list of best street food in Mumbai during Ramadan. The mighty Mughal emperors that ruled Delhi gave this city an extravagant food culture. The rise of Mughalai cuisine took place in their kitchens and consequently spread over the history laden streets of Delhi. Jama Masjid, the largest mosque in India that Old Delhi prides, registers the highest number of pilgrims in India every year. During Ramadan, you will see the roundabouts of this mosque with food stalls loaded with kebabs, tikkas, baida rotis, sherbat, falooda, badam shakes, jalebis and many more. Try the Karim’s, a century old restaurant for the tastiest khamiri roti. One can’t have enough of mutton biryani, kebabs, roomali roti and well, almost everything listed on their menu. Even if you blindfold and choose a dish, you will not be disappointed. The restaurant witnesses a record breaking footfall during this holy month of Ramadan. Ustaad Moinuddin at Chawri Bazaar serves the most addictive kebabs. In our opinion and many others will agree too, this place gives Karim’s a run for their money. The streets encircling Hazrat Nizamuddin Dargah host a horde of places during Ramadan. Lazeez Darbar is a local favourite for mutton kebabs and mutton burra. Go to Haaji Noora in Sardar Bazaarfor their nalli nihari. You will eat a whole lot to satisfy your heart. This is one quaint place that will keep on calling you back. Another high-class option is the Purani Dilli which serves the ultimate mutton haleem that will make you eat till you are full. You will clean your plate, yet want more! Chandni Chowk is the best place in Delhi for a sugar rush. We recommend that you go to Shereen Bhawan and try their phirnis which are one of the best in the world. Other places that embellish Old Delhi alleys are Al Jawahar that has touted for over two decades. They offer dates and fruit salad to break your roza fast in the traditional way. If you are a fine dining person, then do try the popular chicken changezi. There are a couple of other outlets around this place. So get the explorer inside you out and go on a tasting spree in these bylanes. 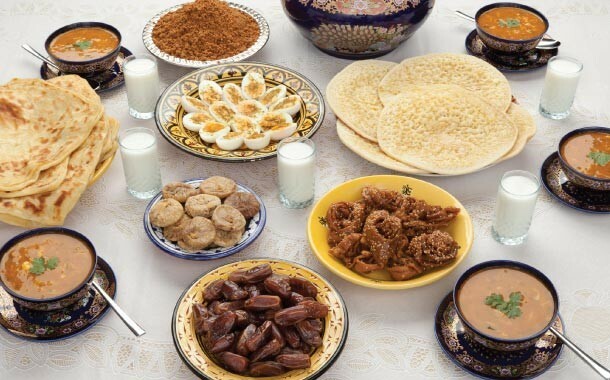 Here is a list of best Ramadan food in Delhi for iftar. Kolkata is yet another food paradise in India. 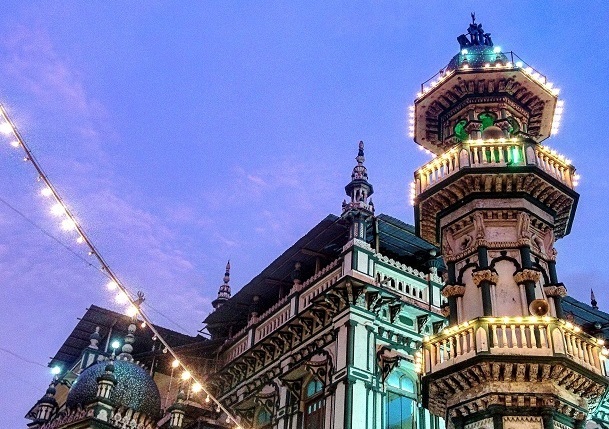 We know this capital city for its fresh water fishes, rasgullas and mishti doi, but an array of Islamic cuisine bustles in its alleys. You will see a gathering of people from all faiths on the streets and enjoy the delectable food with great enthusiasm. You can't fail but notice a huge heap of sevai stack that resemble a sombrero. These delectably sweet and crispy threads melt in your mouth with an amazing crunch. We won't tell you which one to pick, because you will find these ‘sevai-sombreros’ across Mallick Bazaar;and all of them are amazing. Zakaria Street, near Nakhoda Mosque, prepares ‘Special Aminia Haleem’ only during the month of Ramadan. This limited edition haleem is a must-try. Just a few blocks away, at Royal India Hotel, you will get mutton spare ribs (or mutton chaap or mutton chops). They are so superb that we had to pack some for our journey back home to satisfy our untimely cravings. The food stalls stacked around the Colootola Mosque serve all sorts of meat. The locals swear by their roasted chicken and kheeri kebabs. Rezala, a meat stew induced with spices, served at Sabir’s Hotel is one of the best preparations ever. Finish off with a Shahi Tukda and your taste buds will be pleased. You will find a lot of stalls around Park Circus area that server finger-licking biryani and haleem. As the clock hits the iftar time, the shutter of Rahmania rolls up and the long queue flock the counters for their Haleem. Their biryani is indistinguishably brilliant. Say Hyderabad and the word ‘birayni’ slyly makes its way in your mind. In the old days, hundreds of cooks would line up to prepare elaborate m-Mumbaieals to please the royal Nizams. Nizams considered cooking an art and hence, intricate techniques were involved to please the kings. Costly spices, exotic ingredients and highly procedural methods were combined to create a dish that was the king’s favourite. And Hyderabadi cuisine was born out of such love for food. When in Hyderabad, do as the Nizams! Pista House is the place for haleem all over India. It is honoured with ‘geographical indication’ as the ‘hyderabadi haleem’. This haleem is so famous that they export it to countries like Middle East, US, Europe and Canada. They also retail the haleem to over 200 outlets across India. Hyderabad is considered as a haven for sweets. Try the soft delicious loaves of sheermal and khubani-ka-meetha at Hotel Shadab. Be it sewaiyyan-ka-meetha, dil-e-fidous or double-ka-meetha, you'll find these delicacies in the bazaars around Charminar during Ramadan. Do grab a piece from the Mithai Minar or opt for the tower of sweets. Enjoy your food with a wisp of ittar (perfume) in the air and colourful stalls around you. And not to forget the crucnchiliously sweet cookies of Karachi Bakery. 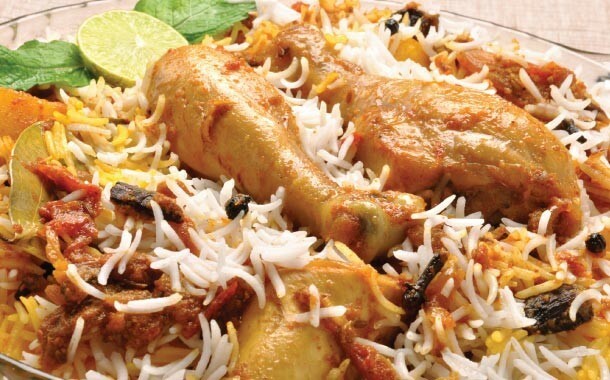 Other local favourites are Madina hotel, Nayaab Hotel and Cafe 555 for a delicious plate of biryani. Bengaluru or ‘Silicon Valley’ is a gourmet galore during Ramadan. This historical place will marvel you with amazing food delights. Mosque Road near the Frazer town is the mecca of Bengaluru for Ramadan food. Hop on to the streets for the tastiest kheema rolls and chicken skewers. Multiple kiosks are visited by crowds for a variety of delicacies like milk sharbat, rose falooda, matka phirni, strawberry cheesecakes, shahi tukda, chicken samosas, kebabs, kathi rolls, kheema parathas, biryanis and much more. We assure that whatever you eat at whichever stall, you will be delighted. Amidst all this chaos, you will find the Albert Bakery, famous for the bheja or brain puffs. These soft balls have the consistency of cream cheese that melt in your mouth the moment you pop them in. They also offer an array of sweets which cannot be missed. 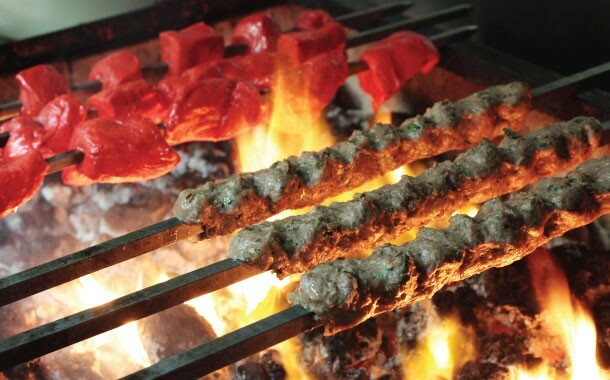 Try the camel meat kebabs at Shivaji Nagar. They are a Ramazan special that can be best enjoyed with a cuppa from the Sulaiman chai. Abuzz with a lot of locals, MM Road has two of the most famous restaurants, Zaikaa, for its 7 exotic mutton dishes and Richies Rahhams for its 31 tandoor cooked delicacies. You will get a chance to try unique dishes like kulfi kebab, khatta mittha kebab and kalimirch kebab too. Apart from these cities, India due to its diversity, offers a variety of cuisines all across the country. Try the local specialities at Chowk Akbari and Mollaviganj in Lucknow, Mominpura in Nagpur and the local joints at Guwahati. We hope our food guide on Ramadan help you plan your evening this month and you’ll enjoy as much as we did on our food journey. You can also check our Mumbai Ramadan Food Guide and Delhi Ramadan Food Guide to know the local food secrets.